Proximo Spirits has announced the release of Tincup – an American whiskey said to offer Bourbon lovers a “bolder, spicier” alternative. Created by Jess Graber, founder of Stranathan’s Colorado Whiskey – Colorado’s “first legal whiskey”, Tincup American whiskey is a blend of corn, rye and malt aged in charred American white oak barrels. 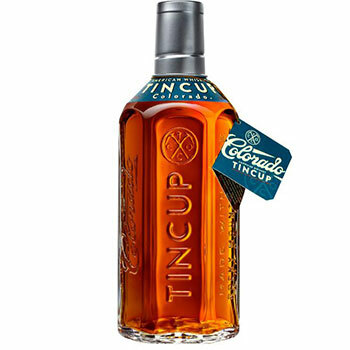 In a nod to Colorado’s whisky-drinking miners of the 19th century, Tincup was named after an old mining town in Gunnison County, which itself was named after the tin cups used by local miners. “I wanted to create an authentic American whiskey that combines the best Midwestern grains with Colorado’s incomparable pure water,” said Graber. Tincup is described as having an aroma of citrus, black pepper and ginger, with notes of rye spice, cinnamon and caramel on the palate. The design of the whiskey’s bottle is said to evoke Colorado’s Rocky Mountains with its deeply embossed glass, while a tin cup cap has been designed to enable sipping and sharing. Graber will tour US markets, including Dallas, Denver, Houston, Los Angeles, New York, Phoenix and San Francisco, to conduct tastings. Tincup is now rolling out across select markets at an RRP of US$27.99.